Hi-Traction and HiGlo-Traction Covers have undergone a battery of tests by independent laboratories, covering a wide range of performance parameters. Take a look at our scores. 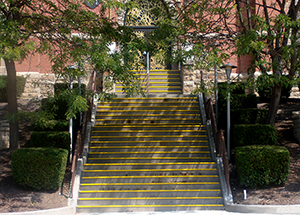 People count on the safety of your campus – but not all steps, walkways, and ladders are up to the challenge. Surfaces such as concrete, tile, diamond plate, and wood can be very slippery and even more hazardous when wet, icy, snowy, or dirty. SAFEGUARD® Hi-Traction® Anti-Slip Covers are installed over existing surfaces to increase traction and improve safety. Indoors or out, they also upgrade the appearance of the underlying surface. 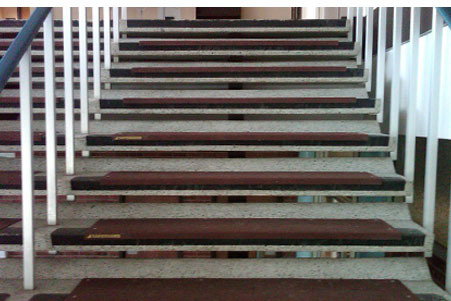 Prevent slips-and-falls at universities and schools with deliberate design and sensible systems. The large volume of traffic in and out of schools and universities every day increases the potential risk of slips-and-falls for students and staff. 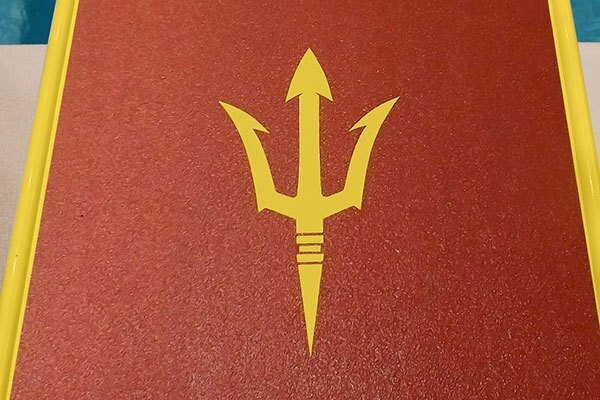 From a small elementary school to the largest university in the country, slips and trips can occur anywhere and anytime. Slip and fall prevention at schools begins with officials, architects, and facility managers being diligent with protecting students and staff from harm. 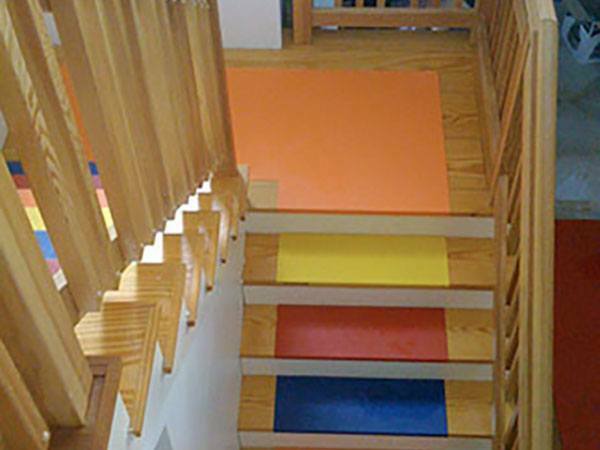 Choose colors that suit your style while keeping students safe and sound with Safeguard’s made-to-order anti-slip products. Be sure that entrance and exit areas are ready for all seasons of foot traffic. 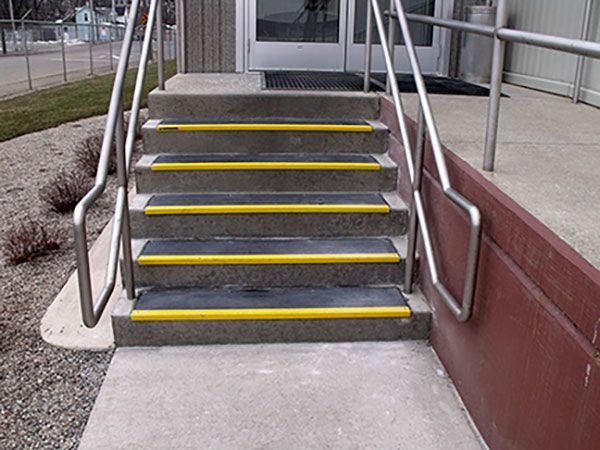 Go to the head of the class for installing Safeguard Hi-Traction Step and Walkway Covers. The physical environment of a campus is important, and many institutions of higher learning have historical value as well. 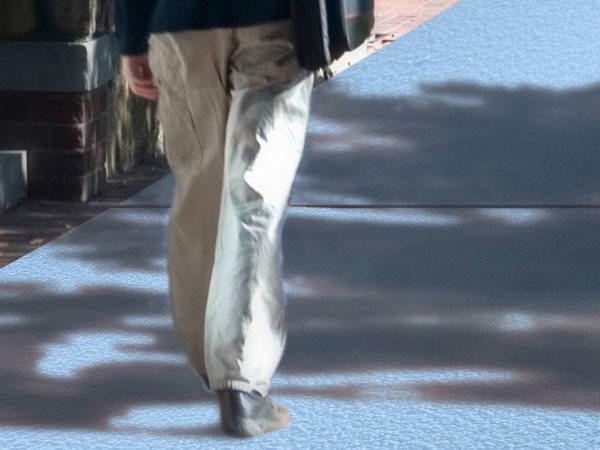 Safeguard’s retrofit anti-slip covers can support preservation efforts by covering problem areas to keep pedestrians safe. Ensure maximum traction on steps. Safeguard has a Step Cover to fulfill your every requirement, offering a range of base constructions, colors, grades, and sizes.